I don't know if I'm a little old for the demographic, but I am a huge fan of Bunny, aka Grav3yardgirl. I've been a fan since I randomly saw this video on YouTube, and thought she was hilarious. I'm an avid watcher and follower of her videos, Snapchat and Instagram. I just think she is a really fun person, she's real, goofy, and not afraid to be herself. 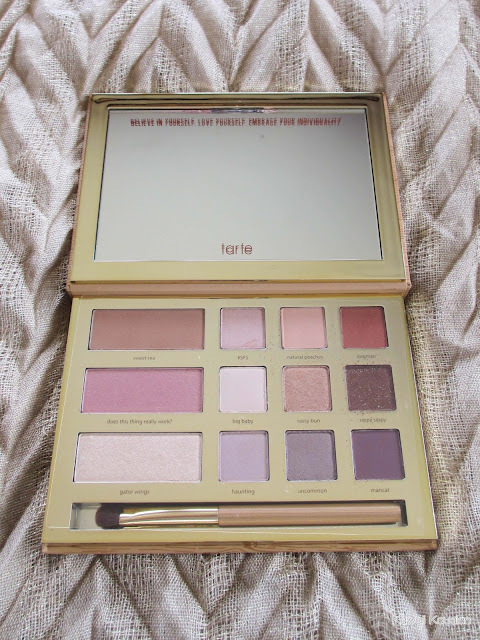 So when I heard that she was coming out with a pallette from Tarte, I was super excited for her, and also because the colors are just gorrrrgeeouussss. 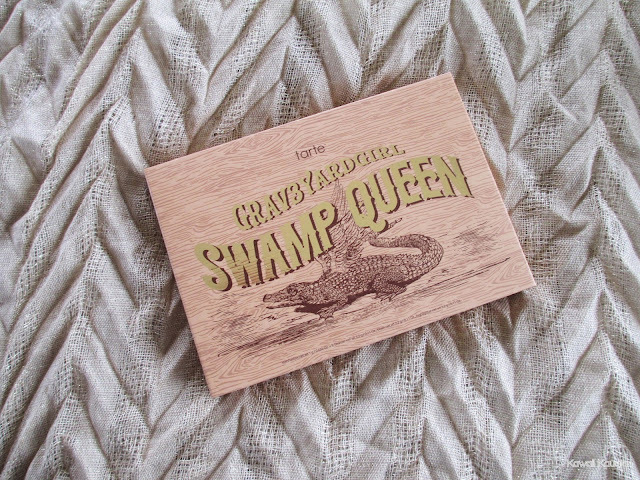 The packaging is very western, and of course features a gator with wings on it. Adorable! It kind of reminds me of old posters for circuses or gun shows. The back has a little bit of info about Bunny, and lists the ingredients in the palatte. The palette itself is really sturdy and substantial. It's bordered with a gold metal, so the sides won't get all beat up. There is a gigantic mirror with the quote "Believe in yourself, love yourself, embrace your individuality," which is really nice and inspiring. There are nine eye shadows that have adorable names, like "mancat," "dogman" and "gator wings." If you're an avid watcher of Bunny's videos, you'll understand all of the references. 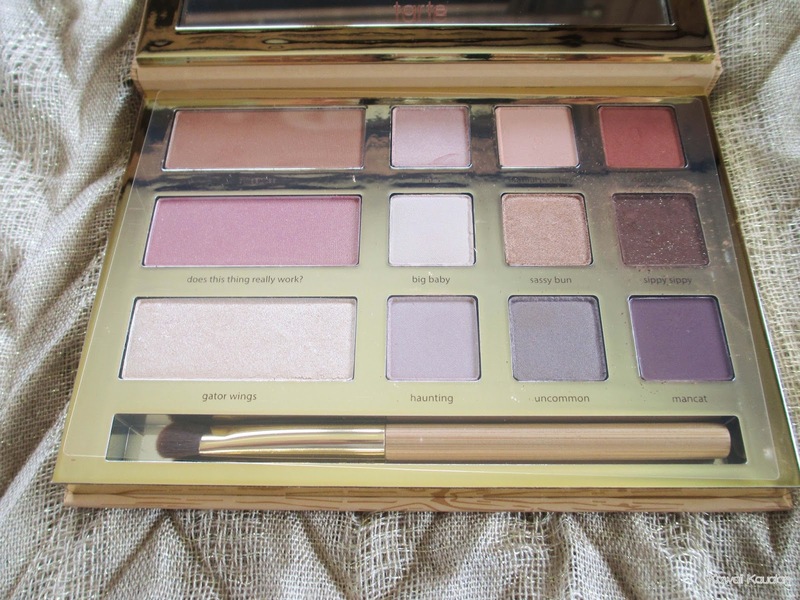 The palette also comes with a bronzer (top left), blush (middle left) and highlighter (bottom left), and an eye shadow brush. Now, the problem I had with photographing the palette is that the colors didn't seem the same as the promotion pictures. So, here are a few photos in different lighting. 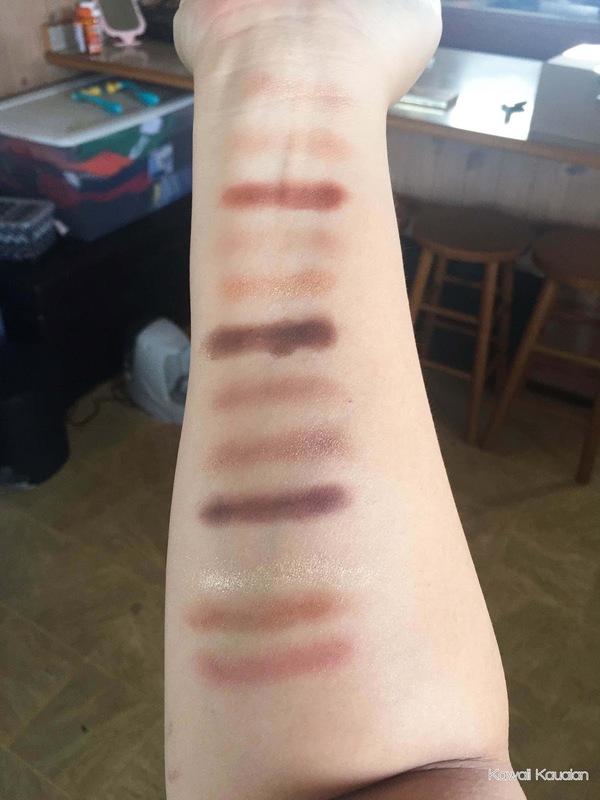 Here are some finger swatches, in natural light. First, lets talk about the good. When you open the palette, you smell something delicious. It smells like powdered hot cocoa, and it makes me want to eat it. 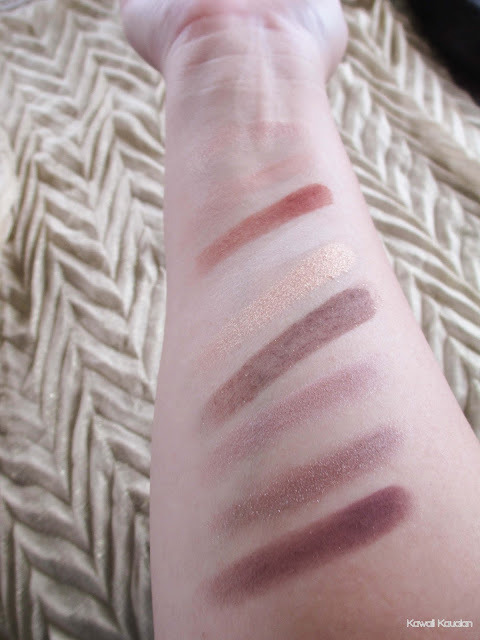 The colors are nicely pigmented, and is a nice mix of matte and shimmery shades. More matte than shimmer, because Bunny likes matte. The colors are all very blendable, and you really don't need much on your brush. 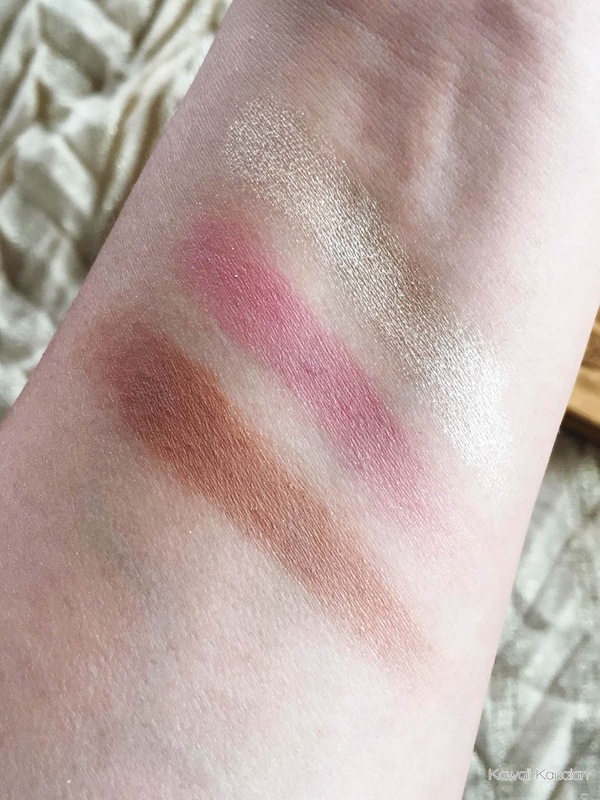 The blush is a universal color, the bronzer isn't too dark, and the highlighter. Oh my gosh, that highlighter. It is to DIE for. You don't need much at all, and it is so shimmery and beautiful. I am in love with it. This is the perfect palette to travel with because it has everything you need: eye shadow, blush, bronzer, highlighter, and a brush. Reduces the bulk in your suitcase! The colors themselves are pretty neutral, which a lot of people complained about. They complained that it didn't reflect Bunny's personality, they expected bolder colors. But honestly, if you look at her makeup looks, the colors she uses are pretty neutral, nothing crazy. So I think this suits her just fine. Now let's talk about the negatives. There is some fallout from the eye shadows. Not a huge deal, but it does get a little powdery. The dark brown color, Sippy Sippy, has gold flecks in it, but when you put it on your brush and onto your eye, the gold flecks are nowhere to be seen. They just don't stick, regardless of whether or not you wear primer. The price is also another downer. 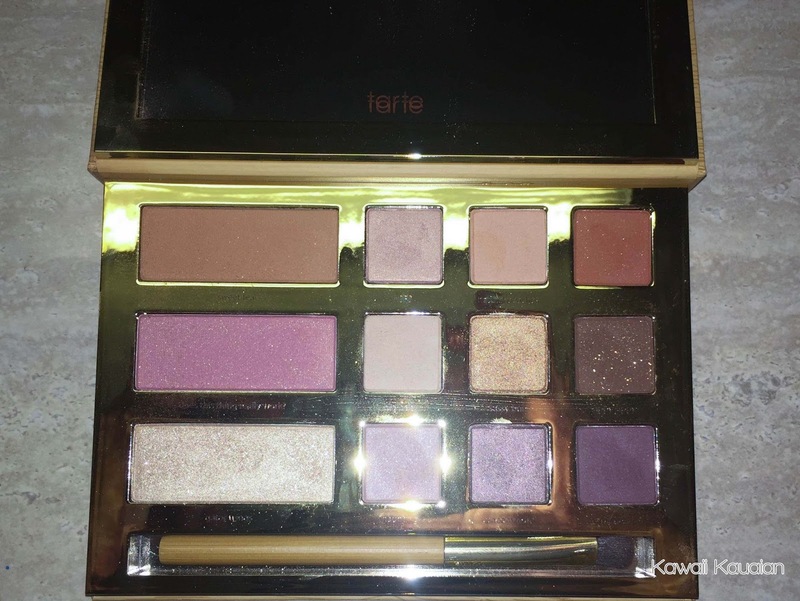 I paid $45.00 for the palette from Tarte during the pre-sale. 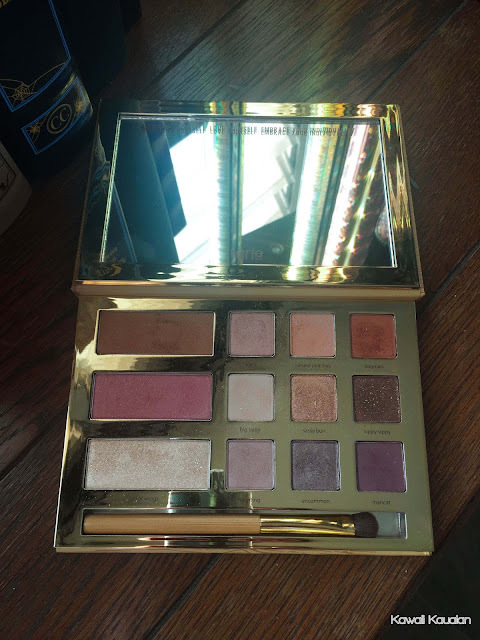 I know that palettes are expensive, but I feel like it might be out of reach for some of her avid fans, who are probably teenagers with little money to spare. But when you take into consideration that it includes blush, bronzer and highlighter, it's not that bad. 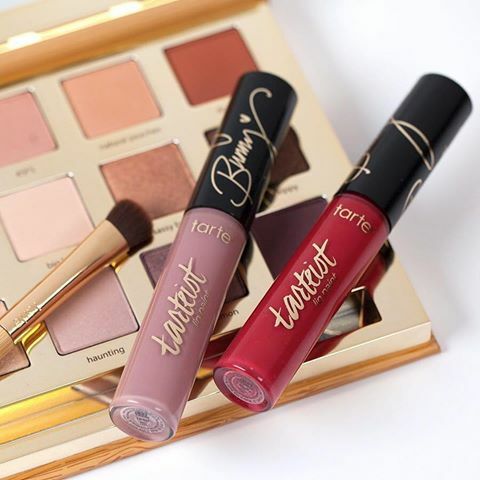 There are also two liquid lipsticks in the collection, Texas Toast, which is a mauvey pink color, and Swamp Family, which is a vibrant red, Bunny's signature lip color. I didn't get either of those as I don't need any more lippies in my life (for the next five minutes), but it seemed like they sold out faster than the palettes. The lippies go for $20.00, which is slightly more expensive than your average MAC lipstick. I think these went faster because they were more affordable for the younger demographic. Here's a look I did the other day using Big Baby, Natural Peaches, Dogman, Mancat, Sippy Sippy, Sassy Bun and Gator Wings. Lip color is Androgyny by Jeffree Star. This palette has become my go-to palette. My favorite colors are Dogman and Natural Peaches. Every time I go out, I put on those two colors, and I always use the highlighter. Did I mention how much I love it? So, so good. 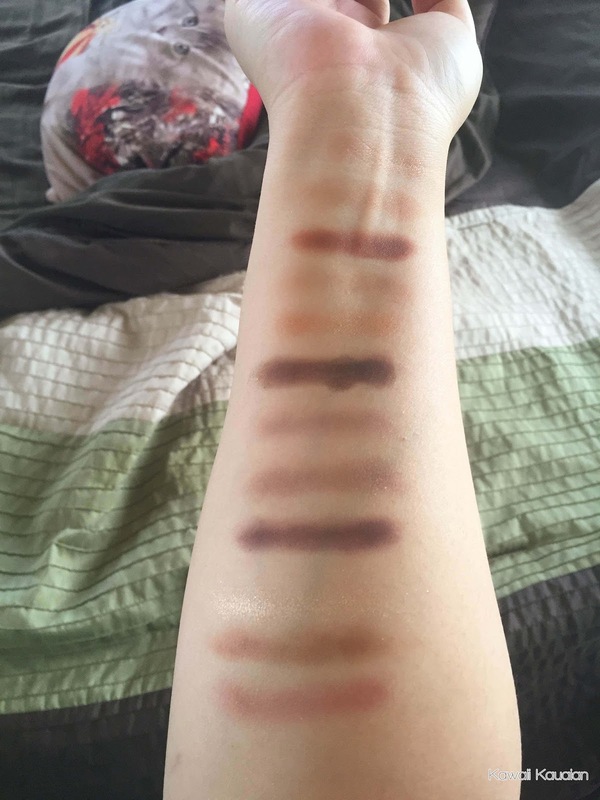 This palette has everything you need, and I'm glad that I am able to support one of my favorite YouTubers!